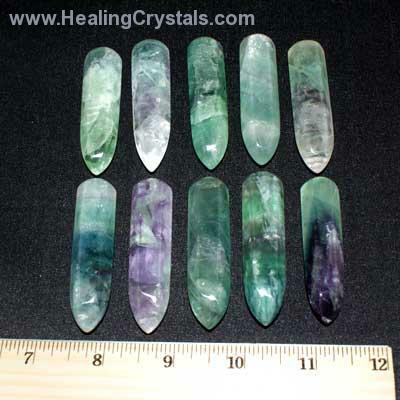 These are absolutely beautiful polished Fluorite Wands. Some have various colors and some are a solid single color such as Emerald Green, Deep Purple, or Blue. Fluorite is a highly protective and stabilizing stone, useful for grounding and harmonizing spiritual energy.